Every year, these five weeks go by so fast. We’re at our final week of the 2018 season and are excited to watch everyone dominate the WOD. Hopefully your team has established a theme for the week and you’ve got your outfit ready to go 🙂 By now, you’re all familiar with how this works so I’ll save you the long write-up and just give the highlights. – WOD Briefing (and Josh’s infamous speech) will begin at 5:30. – Please do your best to make-up or redo the workout during an Open Gym time slot. If you’re unable to do so, please just keep in mind that the class in session takes precedence. Grab your Guinness & your favorite green apparel and join us for week 4 of the CrossFit Games Open as we celebrate St. Patrick’s Day! 3. As always, we’d love to see as many of you as possible at Friday Night Lights however, we do understand that some of you may not be able to make it at that time. If you are unable to make it on Friday or if you plan to repeat the workout, please make every effort possible to perform this during an open gym time slot so as not to disrupt the classes. Due to the size of our Saturday 8 am class, we ask that nobody plan on making up the workout during that hour. Here we go again, everyone! 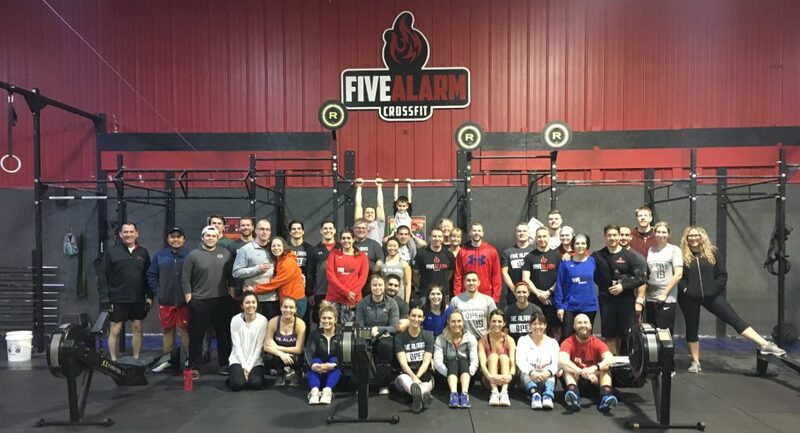 Welcome back to Friday Night Lights, a weekly, inner-gym team competition held here at Five Alarm CrossFit, and built around the CrossFit Open. The 2018 Friday Night Lights kicks off on 02/23/2018 at 6 pm! To help keep things somewhat organized, please take a look at the information below and let us know if you have any questions. We can’t wait to see you all there! 3. We’d love to see as many of you as possible at Friday Night Lights. This is a great way to meet new people at the gym and to encourage each other through the workouts. We do understand that some of you may not be able to make it at this time so there will be a designated makeup time on Saturdays from 10:00 – 11:00. During that hour, Open athletes will have control of the main clock and first dibs at the equipment. Please make sure that if you’re planning to do a makeup or repeat workout at this time or any other time outside of FNL, you have cleared it with a coach and have somebody to judge you. Due to the size of our Saturday 8 am class, we ask that nobody plan on making up the workout during that hour. 4. HAVE FUN! This is the most important part. Come ready to do your best & enjoy spending time with your fellow Five Alarm athletes. Friends & family are welcome to come watch and hang out as well! We hope you’re as excited as we are for to kick off the 2018 Games Season! We look forward to seeing you all!